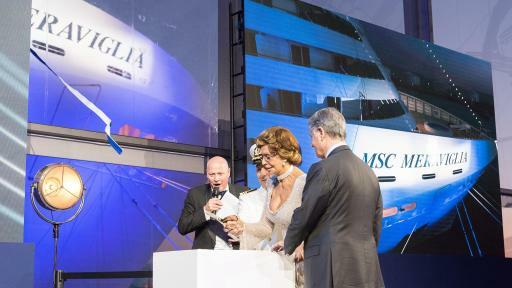 Le Havre, France, June 5, 2017 - On Saturday, June 3, the latest wonder in the MSC Cruises fleet, MSC Meraviglia was christened in a glittering ceremony by international screen legend and godmother of all of MSC Cruises’ ships, Sophia Loren. At 171,598 GRT and with guest capacity of 5,714 (4,488 at double occupancy), MSC Meraviglia is the biggest ship to be built by a European ship owner, MSC Cruises, and also the biggest ship to come into service in 2017. MSC Cruises, the Swiss-based world’s largest privately-owned cruise line and brand market leader in Europe, South America and South Africa, hosted the glamorous, high-profile event in Le Havre, with entertainment from top international performers and an exclusive gala dinner in the company of special guests, authorities, key partners from the travel industry, global media and top management from MSC Cruises and its parent company MSC Group. Gianluigi Aponte, MSC Group’s founder and executive chairman as well as the ship owner, attended together with the Aponte and Aponte-Vago families. 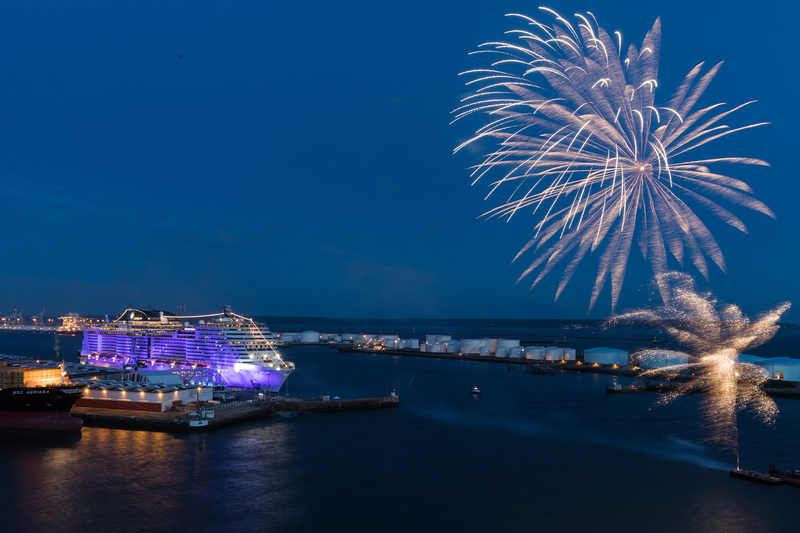 MSC Meraviglia is the Company’s new flagship and the 13th addition to the MSC Cruises fleet as well as the first new MSC Cruises ship due to come into service under the Company’s industry-unprecedented investment plan. 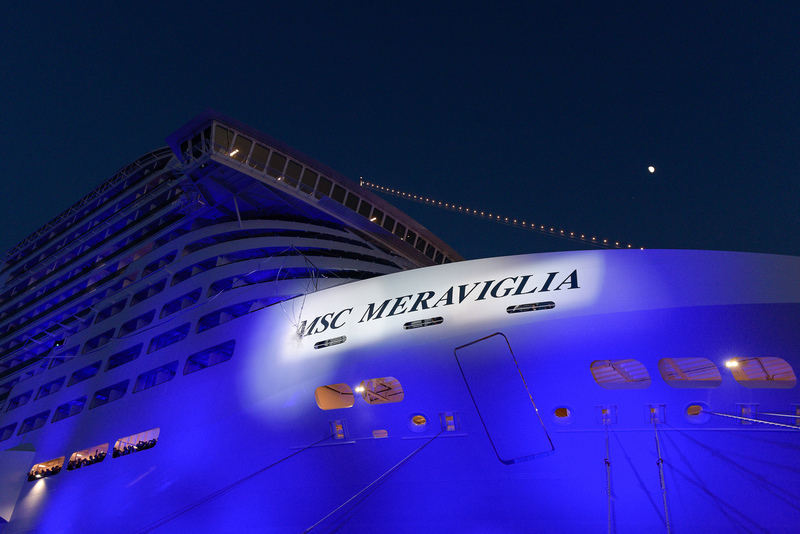 Both the ship herself and Saturday's event have been inspired by the wonders of the world, as Meraviglia literally means wonder. The christening ceremony itself was hosted by one of Europe’s most loved comedians, Gad Elmaleh. The audience was also entertained by internationally renowned artist Patrick Bruel who performed a selection of his most loved songs. UNICEF Goodwill Ambassadors Kids United also performed representing a diverse world, promoting peace and tolerance 1. 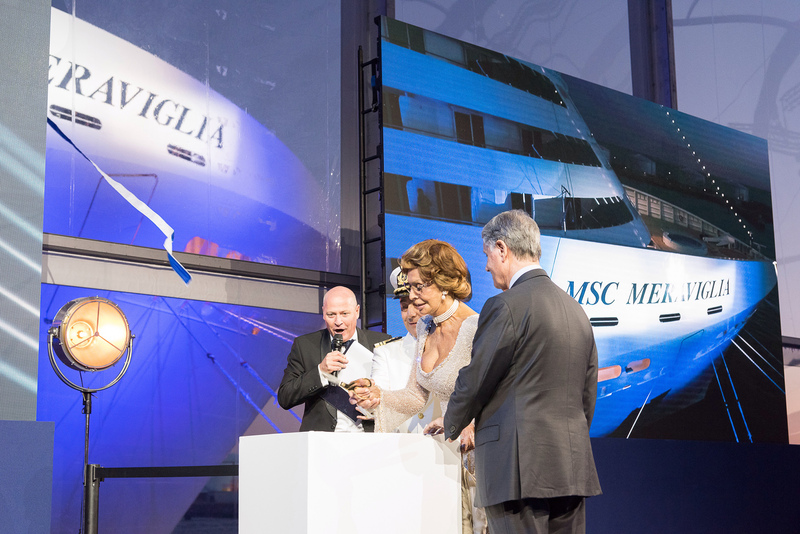 The crowning moment of the evening was the parade of the ship’s officers, when Sophia Loren cut the ribbon and named MSC Meraviglia to a time-honored crescendo of champagne and fireworks. Mrs. Loren has held a close relationship with MSC Cruises for over a decade, when she first became godmother of MSC Lirica, in 2003. As the MSC Cruises fleet continued to grow, she blessed each and every new ship, reflecting MSC Cruises' belief not only in loyalty, but also in Loren's unique beauty, talent and elegant style — the same elements that distinguish every aspect on board an MSC Cruises ship. In order to conclude on a note of haute cuisine Hélène Darroze, the chef with the 2 Michelin stars created an exceptional menu for the VIP gala dinner as well as an exclusive dish for all guests. The menu takes inspiration from Chef Darroze’s passion for combining the flavors of France with those of the UK to create a simple yet elegant gourmet experience for the guests. MSC Cruises and Chef Darroze hope to extend the collaboration beyond the evening of the christening and work is underway to establish a partnership. Comfortable and innovative accommodations to meet every need demonstrating the way that MSC Cruises puts the guest at the heart of its designs and ship building and with 10 different types of staterooms to choose from, there really is something for everyone. 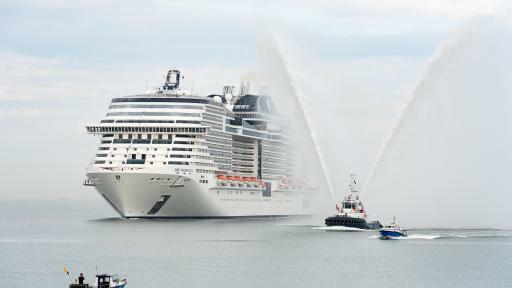 MSC Meraviglia commenced her maiden voyage from Le Havre to Genoa on June 4 and will begin her summer itinerary from Genoa from June 11. 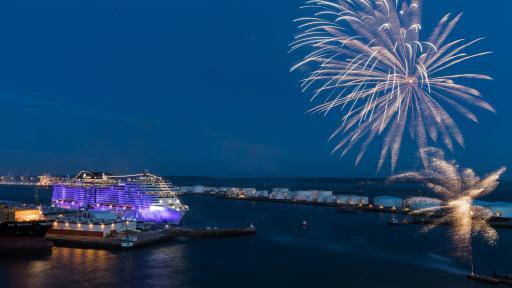 MSC Meraviglia will offer multiple embarkation ports in the Western Mediterranean including the popular ports of Genoa, Marseille and Barcelona as well as visit other much sought after Mediterranean destinations including Naples, Messina in Sicily and Valetta in Malta. For more information and bookings visit here. MSC Cruises is the number one cruise line in Europe, South America and South Africa, and sails year-round in the Mediterranean and the Caribbean. Seasonal itineraries cover northern Europe, the Atlantic Ocean, Cuba and the French Antilles, South America, southern Africa, and Abu Dhabi, Dubai and Sir Bani Yas. In 2014, MSC Cruises launched an investment plan to support the second phase of its growth through the order of two ships of the Meraviglia Class and two others of the Seaside Class (plus an option for a third one) and in February 2016, confirmed the existing options to build a further two now Meraviglia-Plus Class ships with an even greater capacity. In April 2016 this rose to €9 billion (nearly $10 billion) with the announcement of signing of the slot reservation agreement to build a further four ships, each with next-generation LNG propulsion technology. MSC Cruises is the first global cruise line brand to develop an investment plan of this length and magnitude, that between 2017 and 2020 will have already delivered six new cruise ships. The MSC Cruise experience embodies the elegant side of the Mediterranean to create unique and unforgettable emotions for guests, through discovery of the world’s cultures, beauties and tastes. 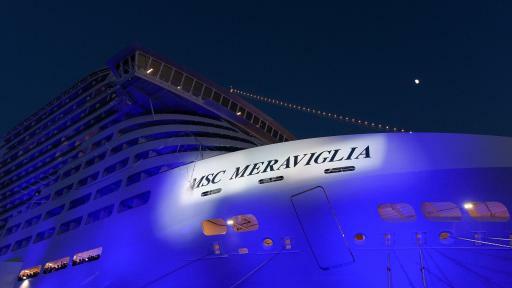 Its fleet comprises 13 modern ships: MSC Meraviglia, MSC Preziosa; MSC Divina; MSC Splendida; MSC Fantasia; MSC Magnifica; MSC Poesia; MSC Orchestra; MSC Musica; MSC Sinfonia; MSC Armonia; MSC Opera and MSC Lirica. 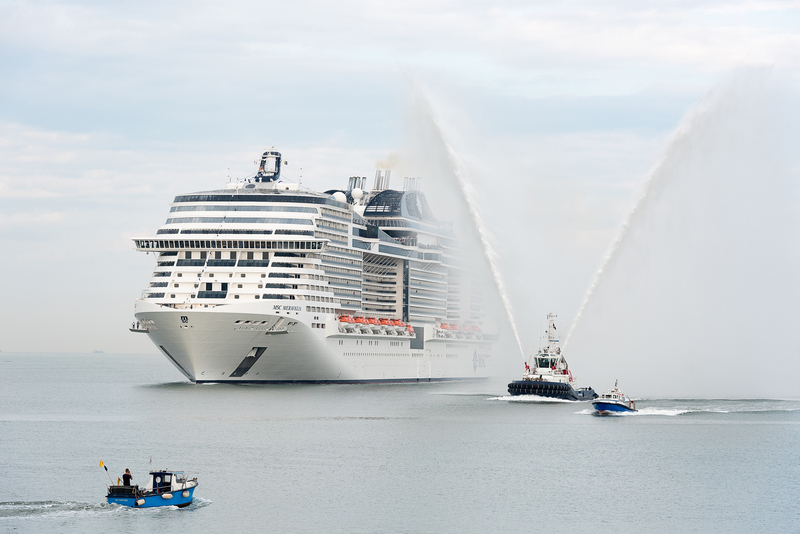 MSC Cruises feels a deep responsibility for the environments in which it operates, and was the first company ever to earn the Bureau Veritas "7 Golden Pearls" for superior management and environmental stewardship. In 2009, MSC Cruises began an enduring partnership with UNICEF to support various programmes assisting children worldwide. So far, more than €6.5 million (about $7 million) has been collected in voluntary guest donations. More information at http://www.mscpressarea.com. 1 MSC Cruises supports UNICEF through their joint “Get on Board for Children” initiative and has raised to-date in excess of €6.5 million thanks to the generous contributions of MSC Cruises’ guests, impacting the lives of nearly 67,000 children who are malnourished in developing countries.